MALE (Reuters) – Maldives opposition candidate Ibrahim Mohamed Solih, who fought a bitter election campaign against President Abdulla Yameen, said that he had won Sunday’s presidential vote with a 16 pct margin after 92 pct of votes had been counted. “This is a moment of happiness, a moment of hope. 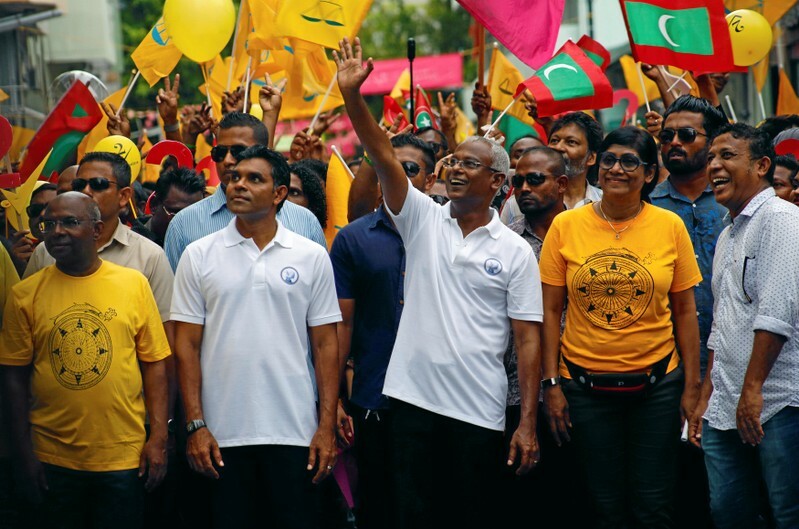 This is a journey that has ended at the ballot box because the people willed it,” Solih, popularly known as Ibu, told reporters in Male.